As Kodi provides no content of its own, it must utilize media stored elsewhere, whether online or locally. In order to stream network files with any apparent performance, it must cache (store) data locally for playback. Many in the Kodi community would have you believe that these cache files “clog up” the streaming capabilities of Kodi. People might also tell you to Clear Kodi Cache. Do not believe this simple fallacy. It smacks of the same logic that promises eating fat makes you fat. While easy to understand, this falsehood remains as wrong as a wet kitten in the microwave. A clear Kodi cache can allow your device to run more smoothly, but will not help with buffering. Pro Tip: If you’re tired of dealing with Kodi, then try some simpler alternatives. You can find them in my Ultimate Firestick Jailbreak tutorial, or in my individual tutorials to install apps like RedboxTV and Onebox HD. What is the Kodi Cache? Kodi plays numerous media files as mentioned above, so uses a lot of processor cycles and memory over time. However, the software requires the temporary storage of specific video data to increase streaming performance. These temporary data files, known as cache files, allow Kodi to download content faster than the media playback speed. For example, if you watch a 10-minute video, it may only take 10 seconds to download the required video data. Kodi must temporarily store this data for access over the course of the full 10-minute playback. When to Clear Kodi Cache? With media streaming software like Kodi, the creation of cache files comes with the territory. Given time, the cache often accumulates and may slow down your system, especially once disk space begins to run low. Devices with small storage capacities, such as the Fire Stick, can seem to fill up quite fast. The resulting sluggish response can make Kodi behave erratically or even freeze up. Users may start experiencing slowdowns and glitches while using the software, then see warning dialogs popping up. This may occasionally confuse people into believing their Kodi connection has a buffering issue. In events like these, clearing Kodi’s cache remains the number one solution. When you clear Kodi cache files up, you simply remove bits of data that tend to clog up your system over time. 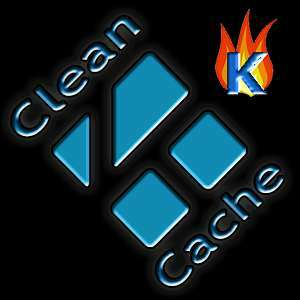 How to clear Kodi Cache? To clear Kodi cache files, you can proceed in two ways, either manually editing Kodi’s advanced settings.xml file or using some helpful third-party tools. Some third-party tools used to clear Kodi cache include Indigo, Looking Glass, and several other Kodi Wizards. The first step is opening your Kodi app. Then go to the programs option. Click on it and then select the add-ons option. A menu will pop-up, check for raw maintenance option and click. You will then see the maintenance option there, and once you click on it, the clear cache option will appear. Select the clear cache option and another window will pop-up to inform you the number of files in the cache memory and the delete button. Click on the YES option and your cache memory will be cleared. You can also clear Kodi thumbnails and packages in the same window, to free maximum space. To install Indigo, navigate to programs and click to open the menu. Go to Program add-ons and click it. Next, find the add-on called indigo and click on it. If you have not already used it, indigo will install all the program add-on options the first time you choose it. After installing Indigo, click maintenance tools from the main menu. From there, you can clear your cache, packages, thumbnails and crash logs. Programming Kodi to clear the cache automatically is another option, or you can enable debugging mode among other options suited to fixing Kodi cache issues. Perhaps you have tried all these options, and Kodi still does not work fine, you can choose wipe add-ons to go back to the base version of Kodi. If you haven’t already, then install the Looking Glass Wizard. Once you’ve opened the wizard, you’ll see the Maintenance selection come up on its front page, so enter it. This opens a page of Cleaning Tools, Addon Tools, Misc Maintenance, and many more items in an accordion link index which help you keep Kodi humming along quite nicely. The Looking Glass Wizard can also modify which addons have video cache settings to be included or not in a cache cleanup. It automatically detects the hardware of your system and immediately generates a customized video cache profile. To adjust your video cache settings in the Looking Glass Wizard, go to System Tweaks/Fixes, then click Quick Configure Advanced Settings. There, you may adjust the video cache size. While on the Kodi home screen, select the Add-ons menu item. Then, select Install From Zip File. Next, select Program Add-ons from the screen. Click Maintenance tool and Install it. Select Cache Size: ______– Click To Clear. There will be a pop-up window on the screen, asking if you to confirm that you wish to clear your Kodi application cache. Click on Clear. (In this step you can enter the size of choice. We would recommend trying with a part of cache first then test the performance. If no improvements, then clear more cache.) Select, Packages Size: _____ – Click to Clear. (Packages are the updates to your Kodi Add-ons. It will update automatically to the latest version. When you select to clear this, there will be a pop-up asking you to confirm that you wish to delete your old add-on installation packages. Select Delete. Then go back completely and click General Maintenance. Clicking the General Maintenance Tool will take you to another window inside that. There, click on Clear Cache to clear cache on Kodi. Once you’ve cleared the Kodi cache, you should reboot KODI. Then, give Kodi a few minutes when it starts back up to fully reload and update essential files. Many methods can lead to a clear Kodi cache, but they won’t solve any buffering issues you may have. Feel free to apply any method that suits you if your device runs short on space, acts sluggish, or starts throwing warning dialogs at you. 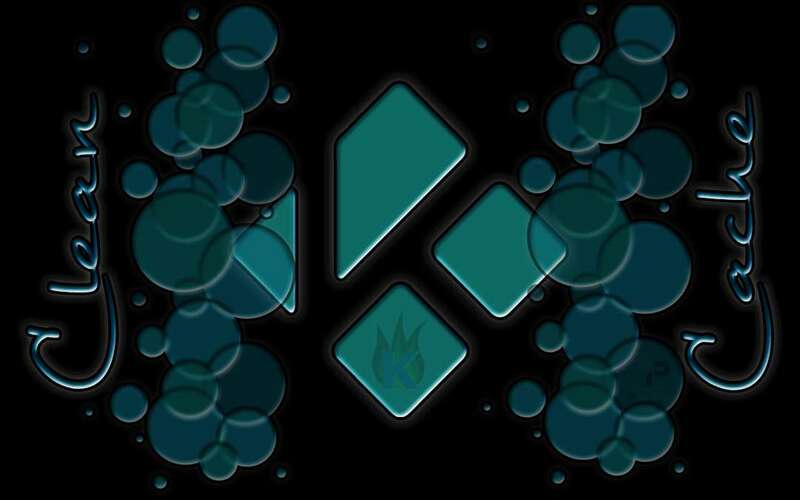 Remember, clearing the Kodi Cache remains one of the simplest ways to make your experience with Kodi better and smoother. Just don’t expect it to change the efficacy of your internet connection the way a VPN can. A clear Kodi cache will do wonders for Kodi sluggishness and some erratic behavior, but it won't do anything for buffering. Learn some easy methods to clear your Kodi cache files, how to automate the process, and even a bit about how to avoid that incessant buffering.